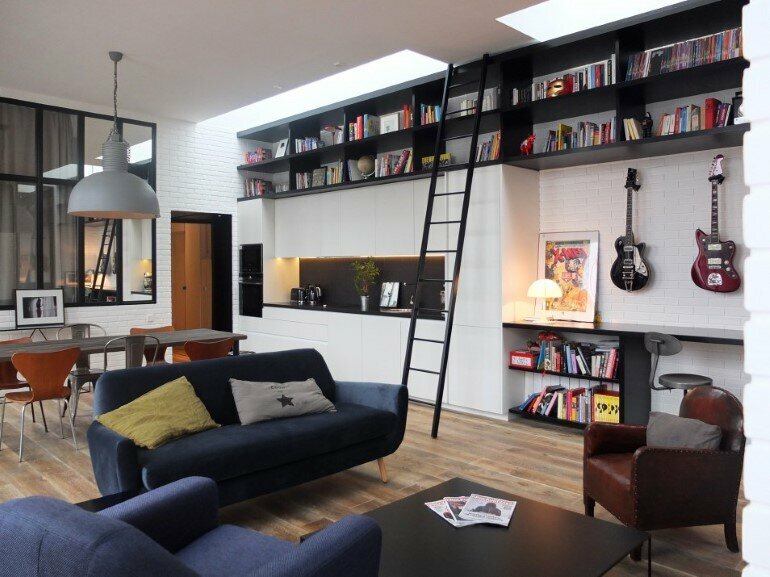 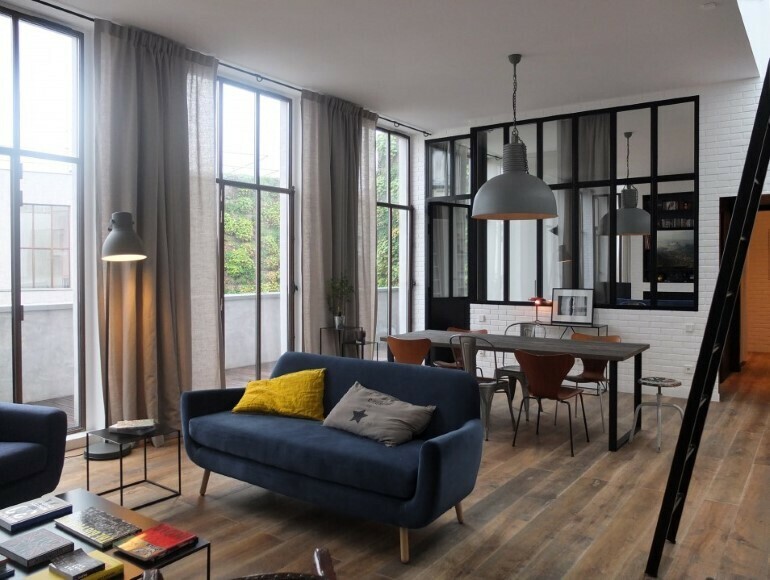 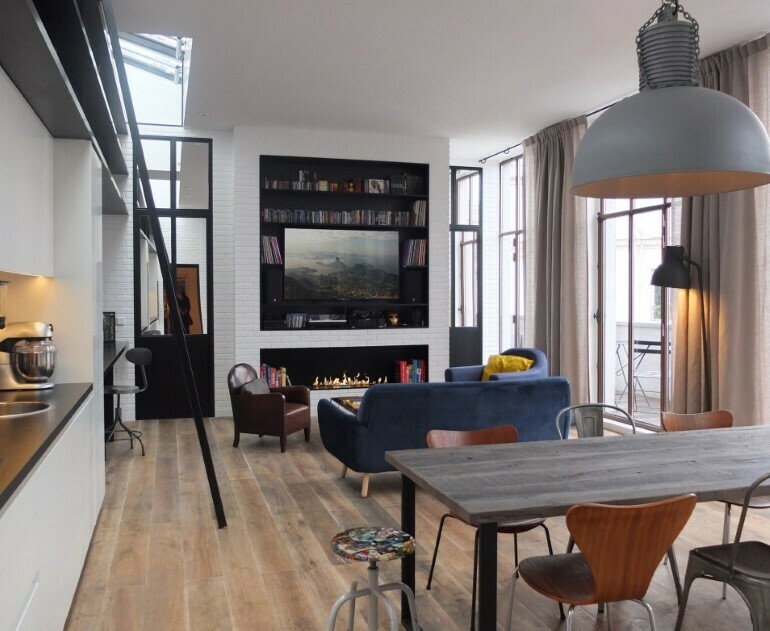 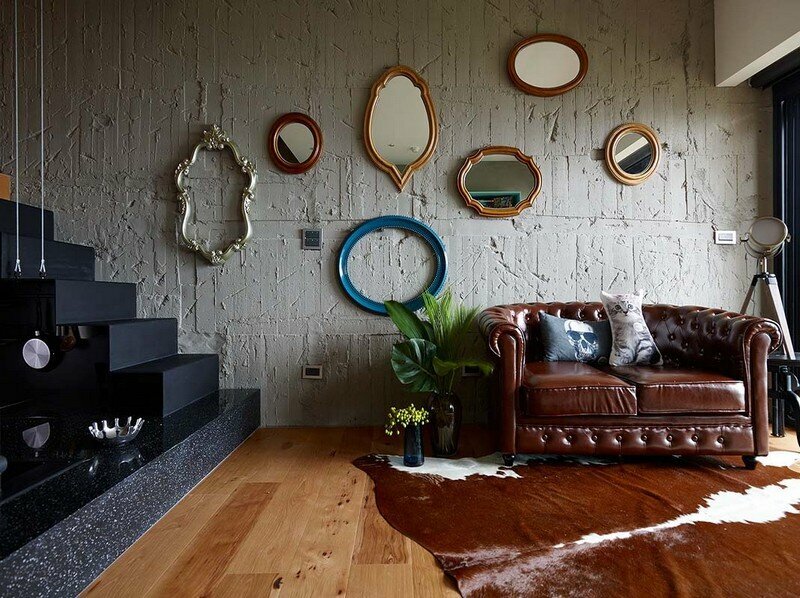 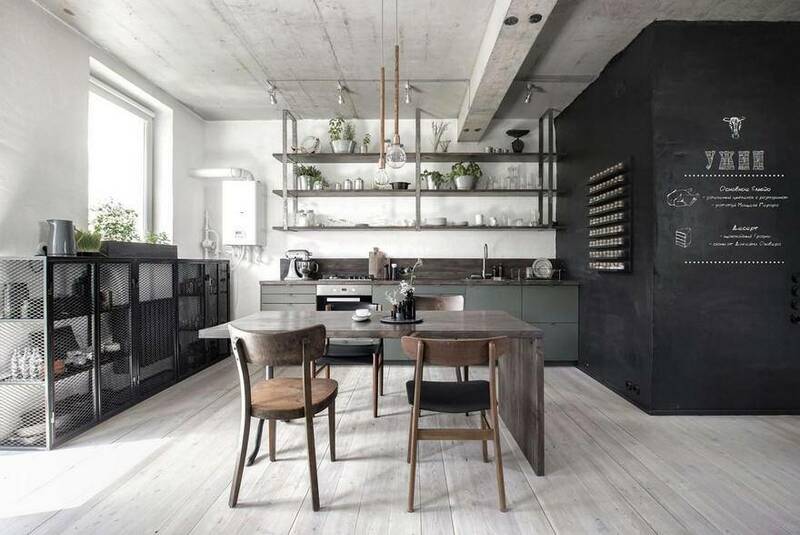 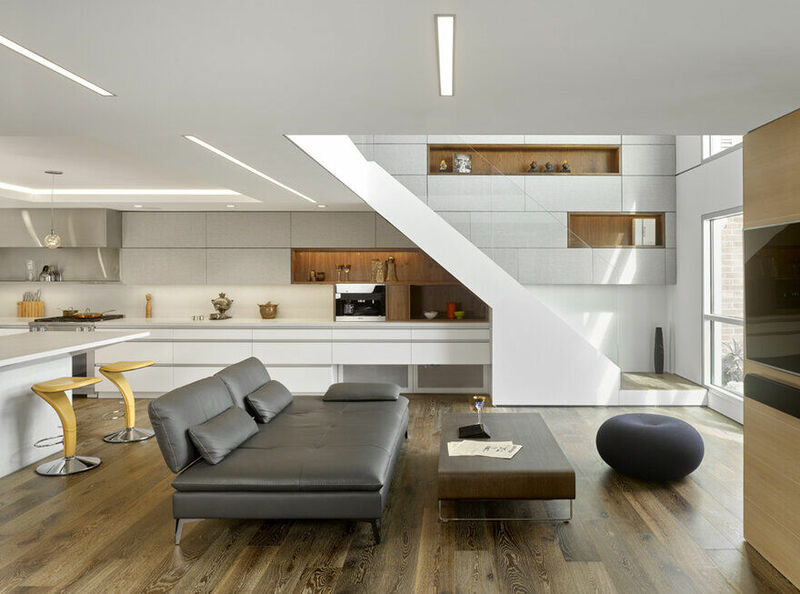 Located in Paris, Rock The Loft is an apartment designed by Nido Architecture. 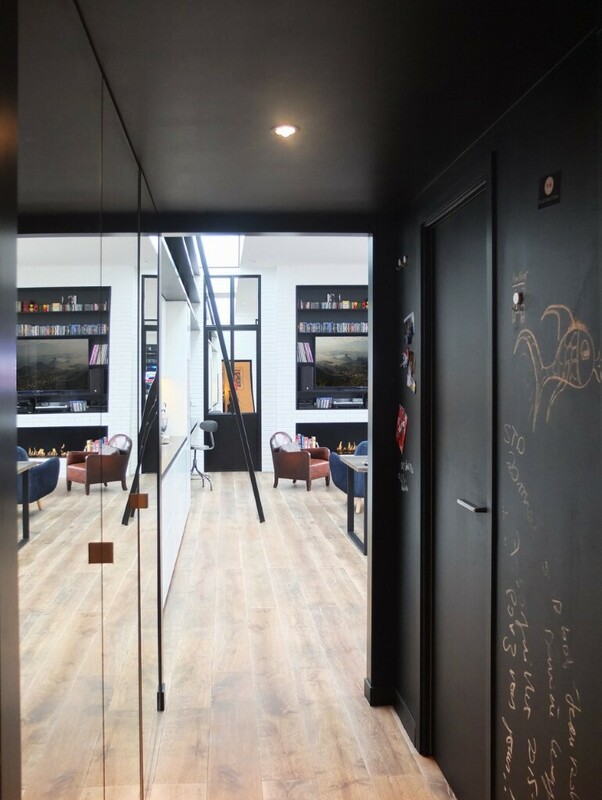 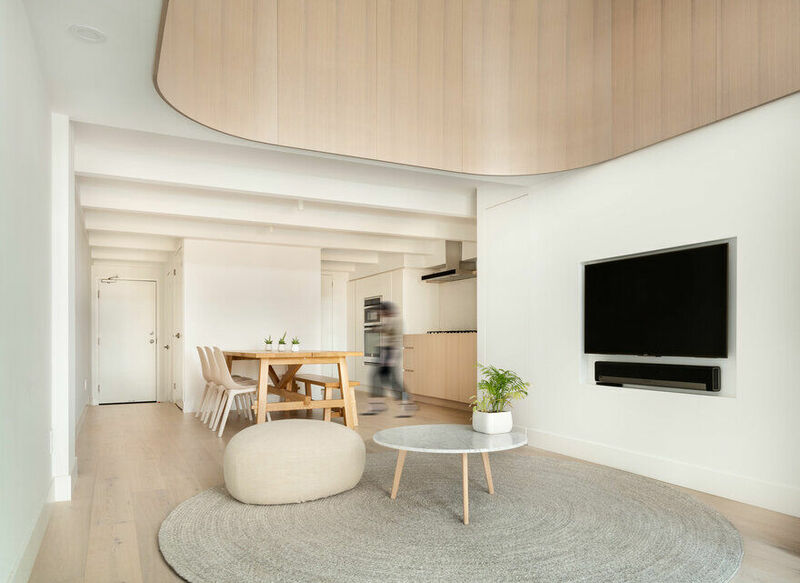 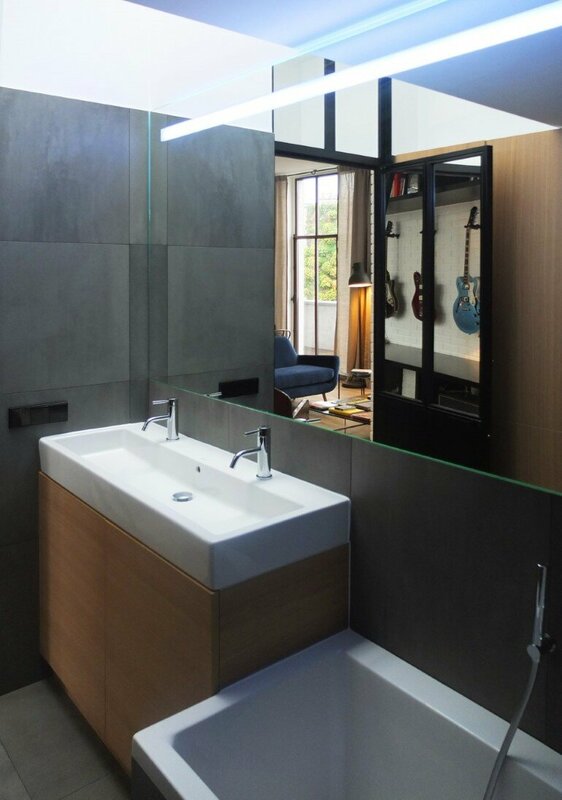 Description by Nido Architecture: For this glazed-façade long loft located in Bastille, NIDO played with glass and mirrors to re-inforce the atelier language. 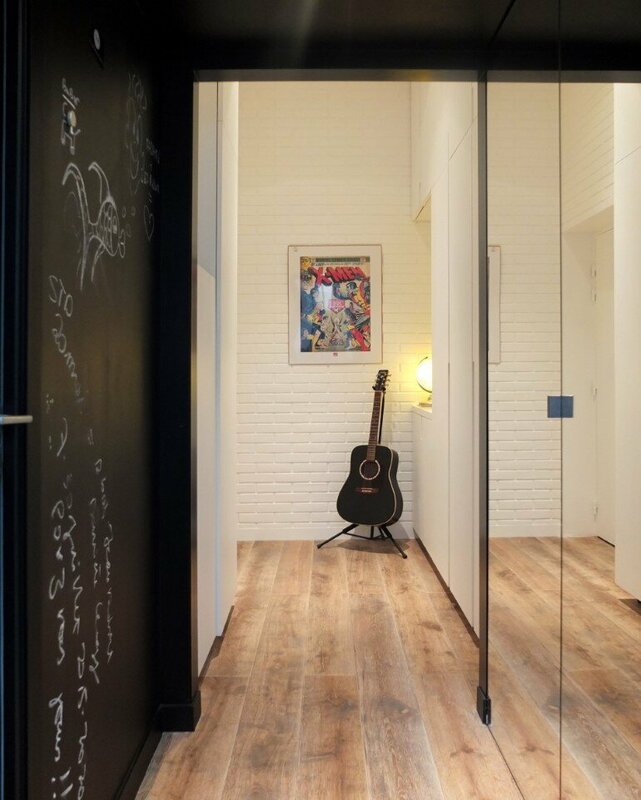 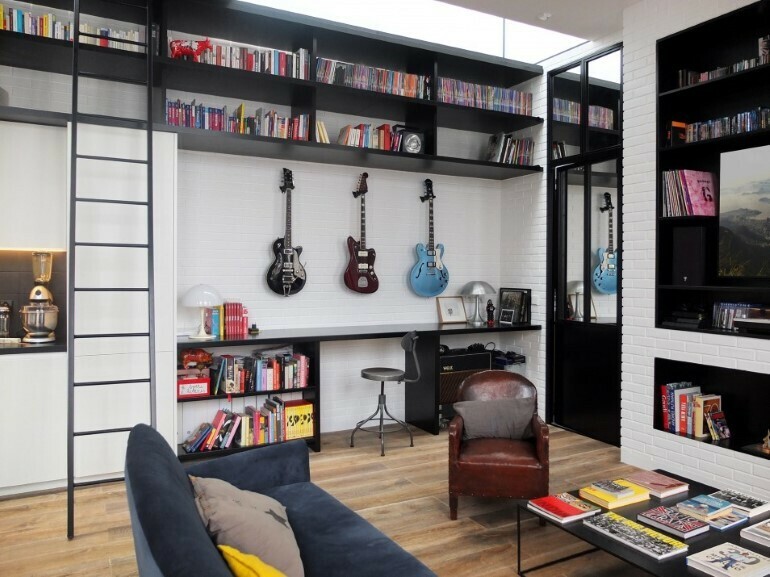 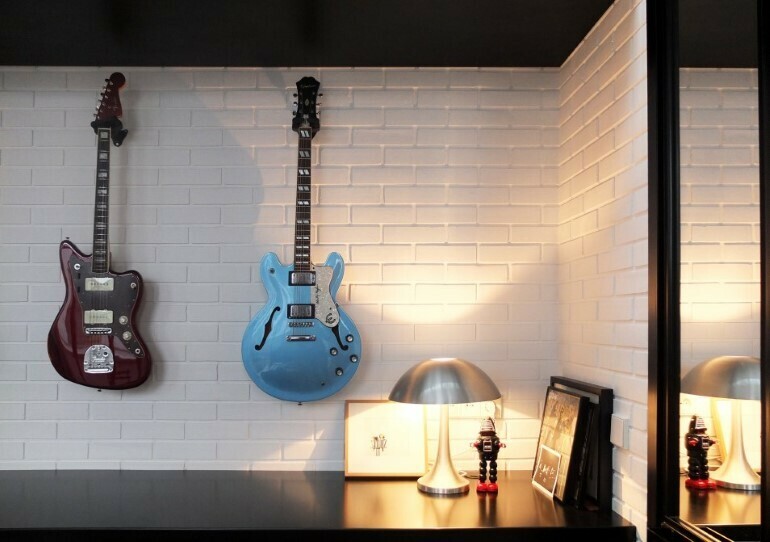 The long wall with the kitchen and office space with the guitars display is considered the « technical wall » and it has been unified by the long metal top shelves. 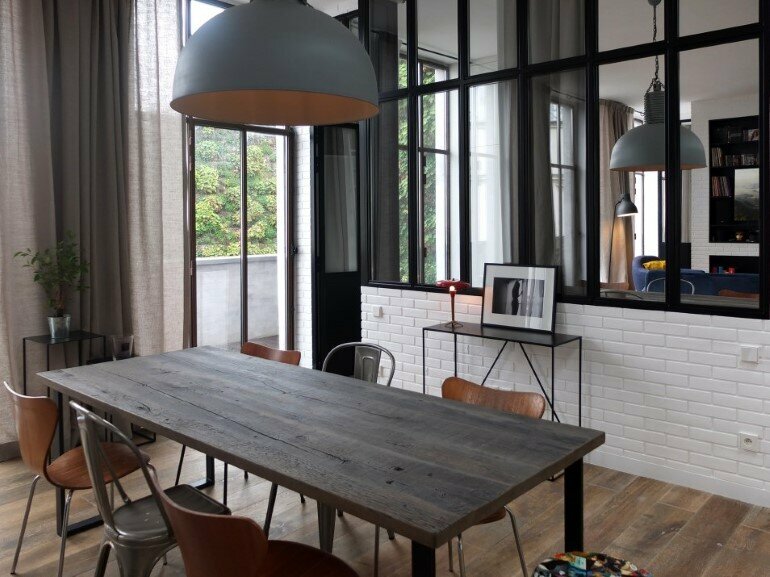 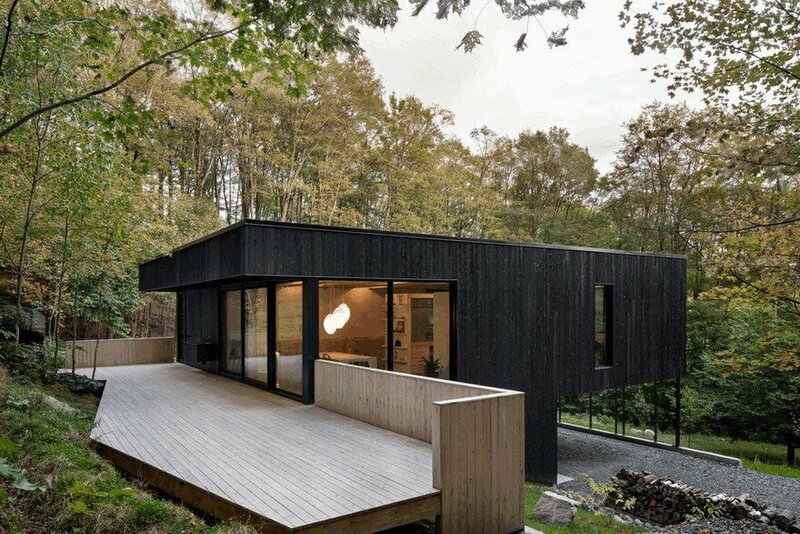 This brick and metal, black and white atmosphere is warmed-up by the rustic wood floor, the fireplace and the generous continuous linen curtain along the façade.